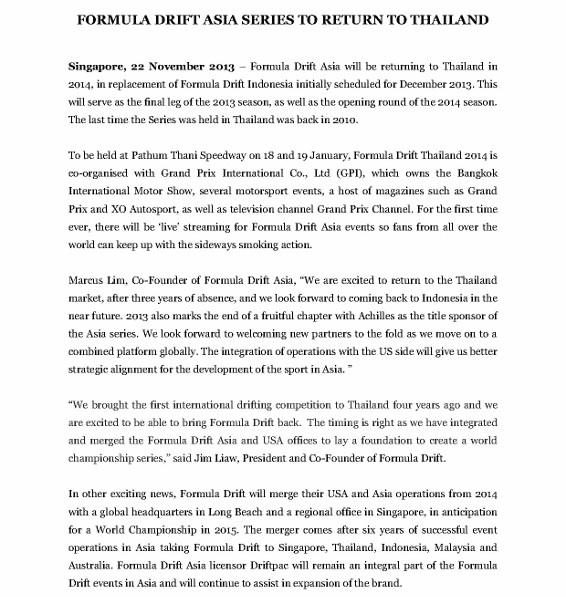 Formula Drift Asia is returning to Thailand, finally, after four years. 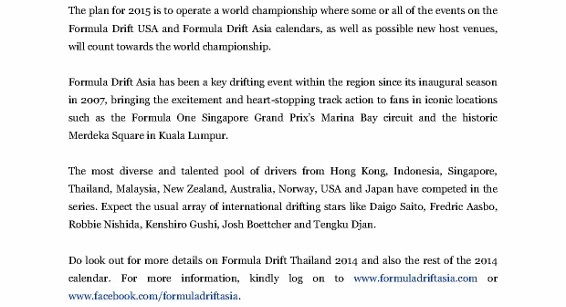 It will be held on 18 and 19 January 2014 at the Pathum Thani Speedway. 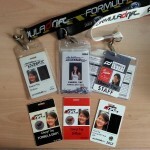 That will serve as the final leg of the 2013 season, as well as the first round for 2014. 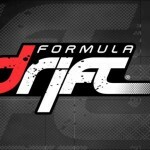 In other news, Formula Drift has also merged its USA and Asia operations, in preparation for a World Championship in 2015.